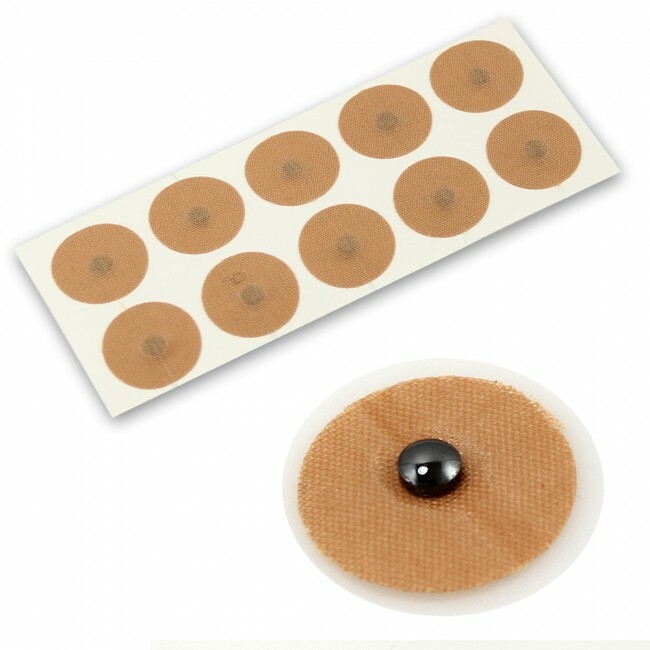 Power Ionics Magnetic Therapy Plasters are small ceramic magnets mounted on circular plasters, which create a magnetic force strength of 800-1200 GAUSS. This is a completely natural form of magnet therapy recognised by modern science and has been used for thousands of years. - Can be applied easily to the area of discomfort. - Can be left in place for up to five days. - Safe to use, even when showering or washing. 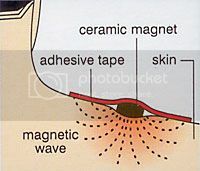 * The Magnetic Therapy Plasters is one of health care thing. 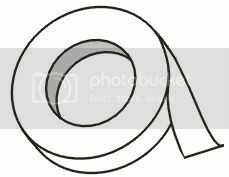 * It made organic of the magnetic field intensity is 800-1200 gauss and magnetic fild fortifier. arthralgia and another allaying inflammation,acesodyne, and concrescence. It adapts to family, tourist and athlete health care standby. * Apply the plaster on the painful spots in the body to be relived. * Make sure hands are clean and dry before removing from backing sheet. * Clean and dry the surface of the skin where you plan to put the magna pod. * It produces the effect after 30 minutes. * The local temperature will rise when using it,and a hot sensation is normal. * This can accelerate blood circulation and relieve pains. * For best performance,the plaster is last for about 5 days. * This plasters should not be used by anyone with a pacemaker or any other electronic medicaldevice. Doing so may cause the device to malfunction. * Do not apply to children under the age of 12. * Do not leave in the reach of children. * Do not leave in reach of adults that require supervision. * Avoid swallowing the magnet. * If at any time you feel dizzy or do not feel well. Stop using immediately and consult your physician. * Should not be used with any other Medical Device. * Damage may be caused if you place this item near anythings that can be adversely. Effected by magnetism such as credit cards, watches and floppy discs. * If you feel any irritation, itching or pain, remove immediately and consult your physician. * When there are side effects or skin irritation,take the plaster off immediately. * Keep the plasters in a dry and cool place away from sunlight. * Read the explanation before use. * These plasters are for external use only. * Store in place where keep away from children. *Come with Micropore PE adhesive tape,you can use this to fix plaster position when medical gauze fall off.